The Paramount is one of the 22 theaters in my new book “After the Final Curtain: The Fall of the American Movie Theater.” Find out more here. Delayed and over budget, the Paramount Theatre in Marshall, Texas opened on March 31, 1930. The opening was the first event in what the city of Marshall dubbed “Program of Progress” month. The East Texas Theatre Company, Inc. commissioned Emil Weil, Inc., an architecture firm based in New Orleans, to design the 1,500 seat atmospheric theater. The auditorium is currently used for storage. On opening day the front windows were decorated with telegrams from prominent movies stars congratulating the theater on the opening. The first feature was “Young Eagles,” starring Buddy Rogers and Jean Arthur, and “Brats,” a Laurel and Hardy comedy short. Live acts, including Rajah Vogi, an East Indian hypnotist, played at the theater during its early years. Sunlight pours in through holes in the ceiling due to years of water damage. The Paramount would play a small role in the American Civil Rights Movement by helping to inspire James L. Farmer, Jr., a civil rights activist, to form the Congress of Racial Equality in 1942. Farmer, who was born and raised in Marshall, said that the humiliation of using the segregated entrance and sitting in the balcony were some of the things that inspired him. In 1950, W. L. Gelling, the manager of the Paramount, booked the movie “Pinky” to show in February. “Pinky,” a film about an interracial romance, was banned by the city of Marshall due to its subject matter. Gelling was fined and convicted for showing the film. He appealed his conviction all the way to the U.S. Supreme Court, who overturned it. The Paramount was segregated for most of its time as a theater. Black patrons were forced to use a separate entrance and could only sit in the balcony. The Paramount closed as a movie theater in the 1970s, and was turned into a western themed dinner theater. The seats on the main level were replaced by a dance floor. After the themed theater closed, the building was purchased in 1986 by Sky Spencer, who intended to turn it into a recording studio. Spencer gradually began to make alterations to the theater, but was unable to complete them and the recording studio never opened. After owning the theater for over two decades, Spencer unsuccessfully tried to sell the Paramount via eBay in 2007. 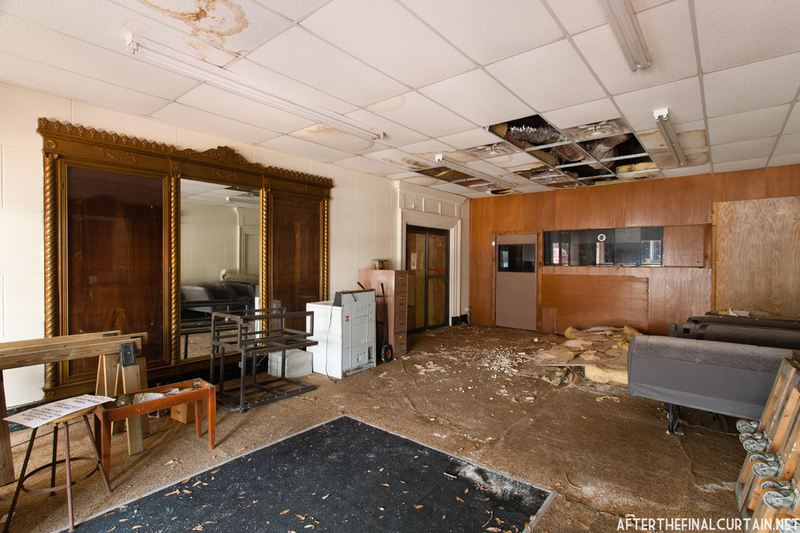 The building was sold in 2015, the new owners intend to renovate and reopen the theater as a live performance space. 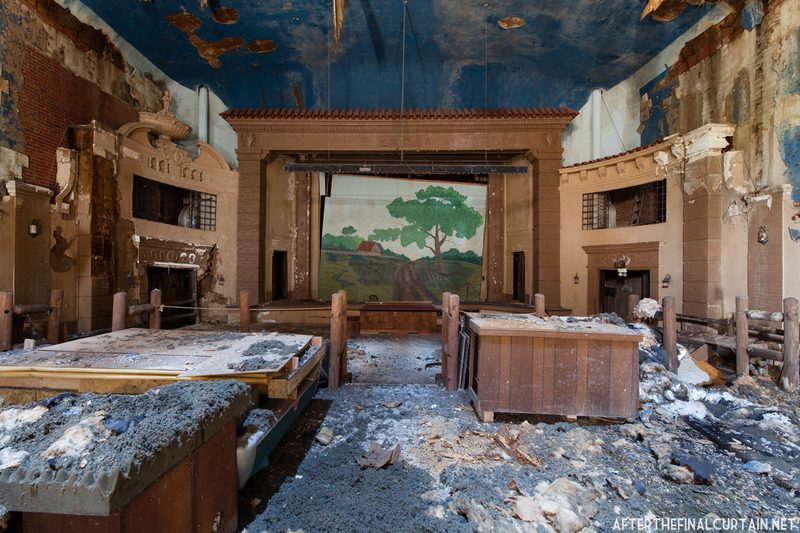 The remains of the dance floor that was installed when the building was used as a dinner theater. 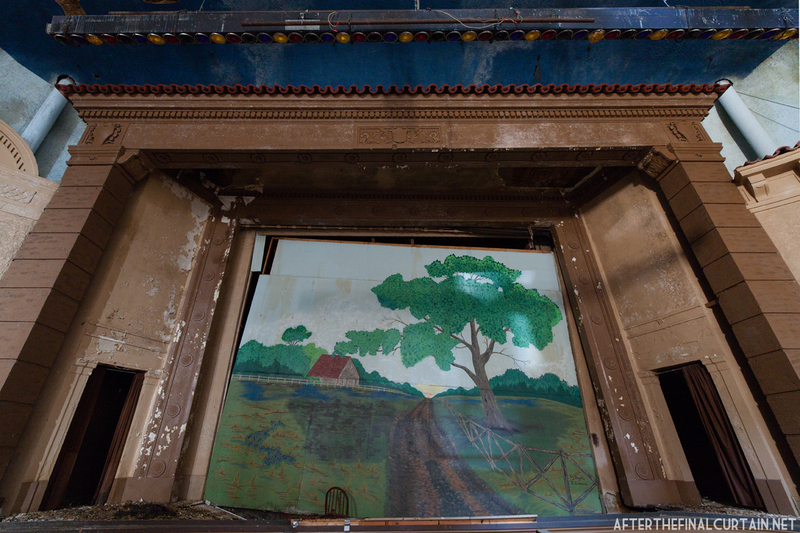 A closer view of some of the surviving theater details. The original marquee is still on the front of the building. The lobby was converted by Spencer to look like an office entrance. 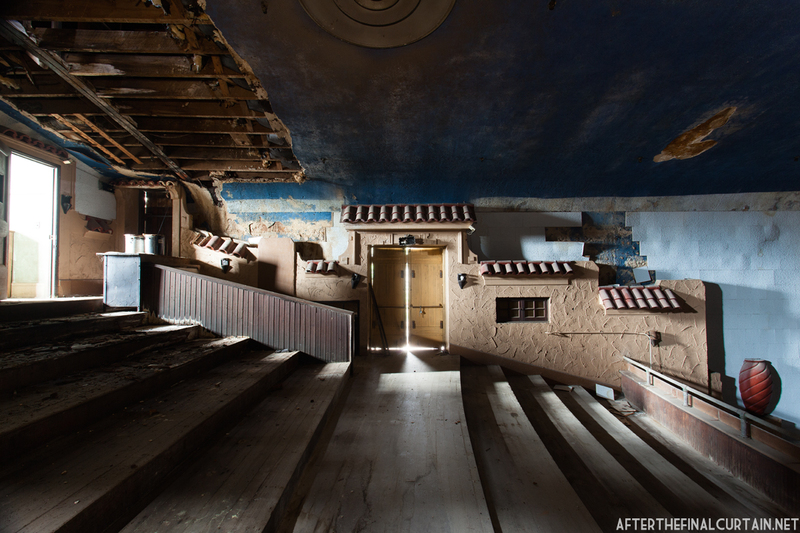 The original estimated cost to build the theater was $150,000. By the time it opened the total cost was $250,000. When adjusted for inflation the cost today would be $3,396,507. Wonderful post and great series of photographs. The one where the light comes through the ceiling is particularly good. Thanks Victor. The sunbeams made this place a pain to photograph, but I think I managed to get some nice ones. You always make my day when you post. Wow, what a treasure of an old building! So sad to see it in ruins. Lovely photos. You really capture the location. Love it. Thanks Jules. It’s for sale now, so hopefully someone will buy it and restore it before it’s too late. Oooo, wouldn’t that be divine? Marshall is such a neat town too! Of course all towns like that in Texas tend to be!! 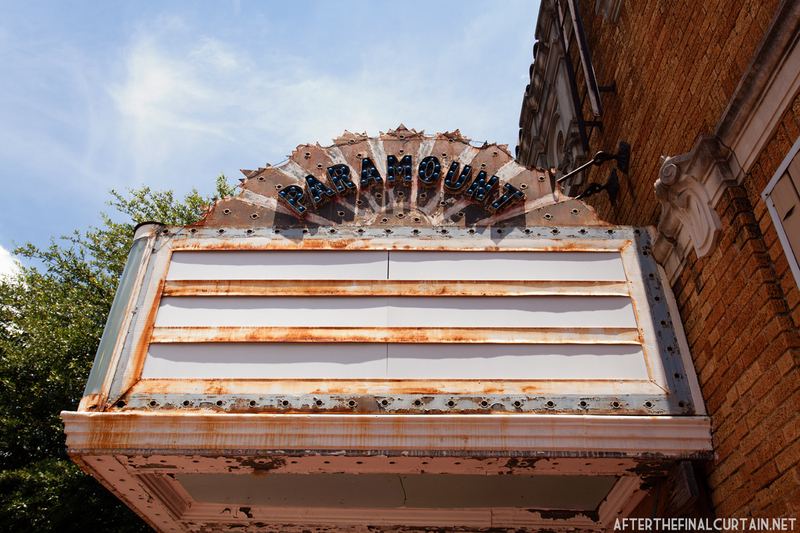 I definitely agree, and nothing revitalizes a downtown like a restored, functioning theater. Sometimes the ruins themselves are beautiful. I think that’s true in this case. Would never have guessed that a theater like this would be built in Texas! (and I say that as someone who is from Texas). I would encourage you to check out the Lincoln Theater in Baton Rouge, Louisiana. Wow. Such beautiful pictures! Sad to see that it went to ruin, but on the other hand they add so much personality. I especially love the third and fourth pictures. Reblogged this on Illicit By Nature. A blast from the past. Thank you. What a shame it’s been left abandoned and decayed like this. I hate to see history go this way.. Your photos are phenominal..
We have a theater in my home town that almost ended up like one of these. It would have had it not been for all the people who raised money to save it. I never understood why they sank so much cash into a building with no parking, but at least it’s not another abandoned building downtown. 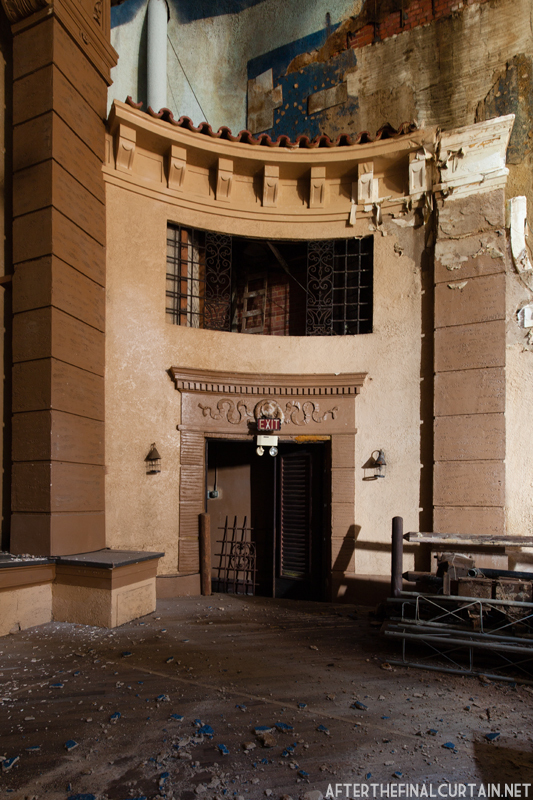 Parking is actually a very big reason why these theaters remain abandoned. 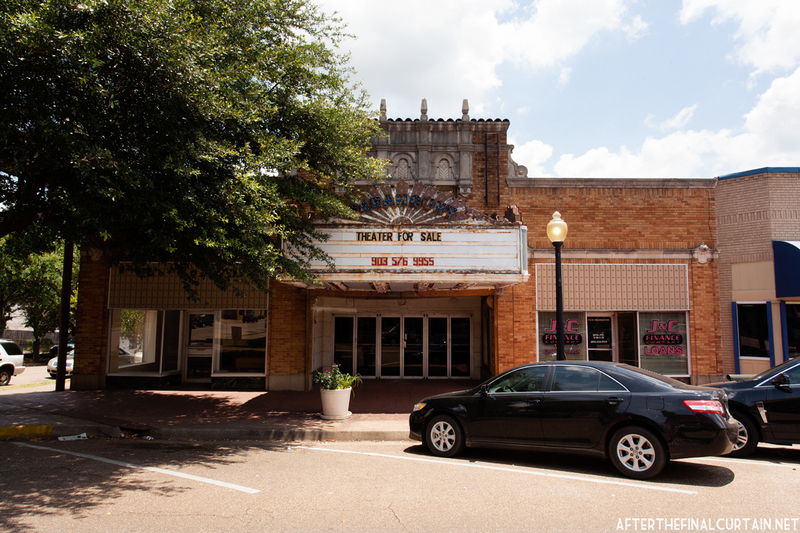 Some cities have had to give away nearby vacant lots for parking as incentive to restore their local theater. I bet a building like that has had a few ghost hunters visit it. Recording arts friends—Lets buy it on Ebay! They’ve already started renovating into a recording studio. The Imperial Theatre is the former name of the building that housed my hometown “show” which today has turned into a live theatre that is controlled by the world famous players theatre ‘ MirMaid Theatre,’ that do ‘large-muppet’ shows all over the world. Wow, these are some amazing pics! OBT (One Borrowed Thing). You know how I love artful decrepitude, and this post by blogger After the Final Curtain is exceptionally beautiful. The tattier a building is, the more I want to love it and hug it and call it home, especially theaters. So sad to see this in ruins! You have an amazing way of capturing this! I agree. I hope the city of Marshall, TX feels the same. Very interesting read and loved the photographs. Thank you! Wow thanks for share this information!! Taking a minute out of my day here to mention this awesome blog that’s featured on WordPress today. But can you say WOW!! The stories of the abandoned theaters in the days of their youth and what they’ve been through since then create movies in your mind of the excitement that used to buzz through the grand spaces, paired with the gorgeous photography of the complete abandonment and neglect of these old theaters. It’s heart wrenching yet beautiful. It’s moving in a way that proves it is successful art. I feel empathy for the theaters because they parallel the truth of my own life, all life, and everything in life. Destined to age, there is no escape. Well done Matthew Lambros; After the Final Curtain. Amazing. Make the newscasters go there. It is such a shame how people can just let such a beautiful building with such rich history go! We should take care of such places so we can continue enjoying their history and beauty for years to come. Very sad indeed to see the “antiquity” gone from our landscape. I’m sure there were many a memory forged there. They can take away the materials, but not the memories or the stories that can be handed down. I just found this and saw that Young Eagles was the first film. I actually met Buddy Rogers in the Palm Springs area when he was 84. Very nice man. He had created a Humanitarian Award Dinner and was a wonderful giver to charities. He was quite the ladies man in his younger days from what I hear. The light penetrating is wonderful. There can be such beauty in decay. Wenn der letzte Vorhang gefallen ist. Ein toller Bericht über ein altes Kino in Marshall Texas und wie es heute aussieht. 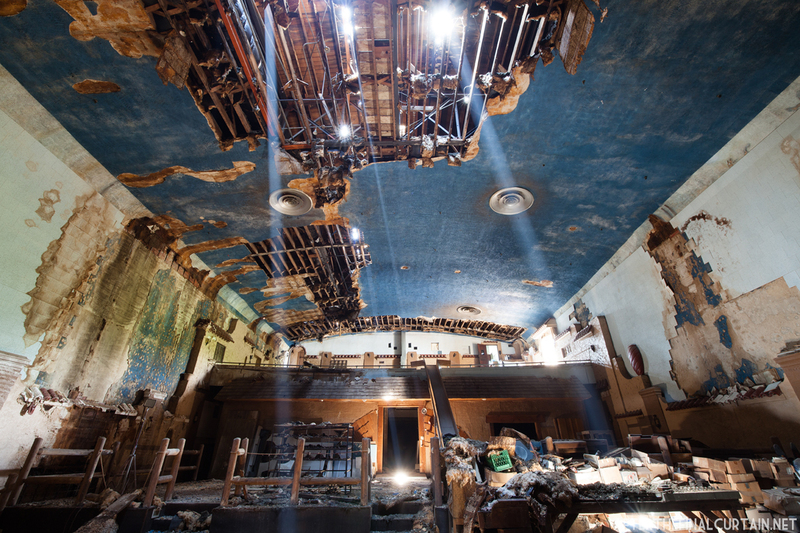 It’s so sad to see a beautiful, historic theater in shambles. II hope that someone is able to purchase and restore this building, even though it would be a lot of work. Your photographs are incredible and really show how there is some beauty left in this venue. Great job. Amanda – I hope so too. 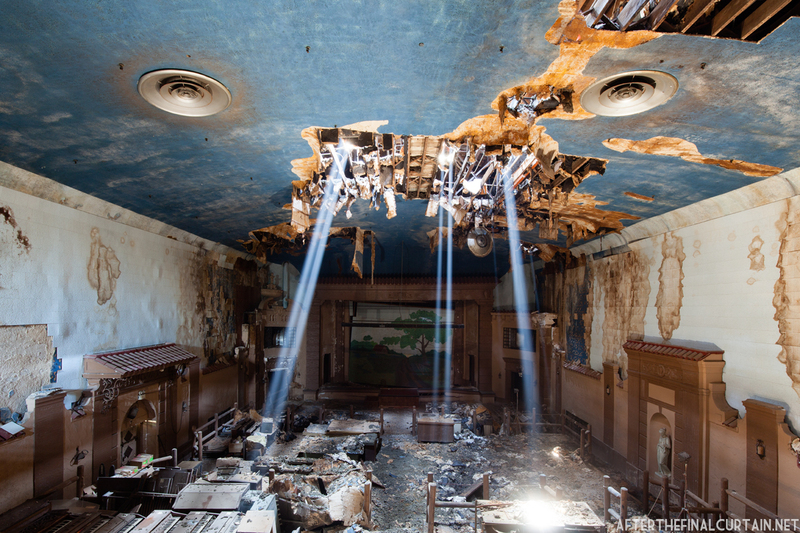 When I was photographing the Paramount, the owner was showing the theater to a prospective buyer. I don’t know if they ended up buying it, but assume they didn’t since it wasn’t in the papers anywhere. I wish I could buy old buildings like that around where I live and restore them to their former beautiful glory, maybe someday if I ever finish and hit it big with my novels. Do you photograph old buildings like this often? Sounds like a good plan. Hope it comes true! Yes, so much so that I have a blog dedicated to it. 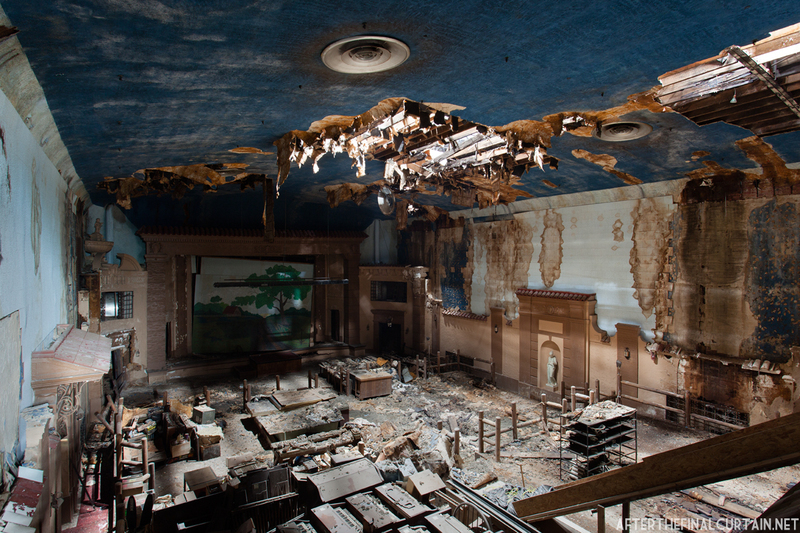 I’ve been to 62 abandoned theaters so far, and I’ve lost track of the other kinds of abandoned buildings I’ve explored. I will have to check out more of your blog posts and photographs. Abandoned buildings (or just old and empty buildings) have so much beauty left to them. 😦 I am so sad to see the Paramount Theatre in such ruin. Thank you for the amazing post and read! Reblogged this on ZILLAS NETWORK. Wonderful pictures! I love photography of abandoned buildings and towns. It’s fascinating and sad all at the same time to look at something that was once full of life and now slowly decays. This is just a shame. Can anything be done to restore this building to its original fervor? 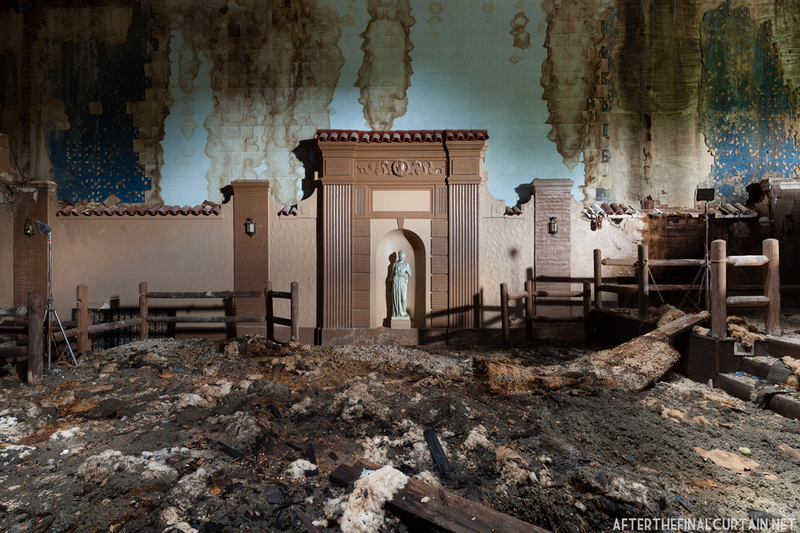 I was actually just talking to someone who specializes in theater restoration about this theater. He said that it would be hard because of the holes in the ceiling, but that it could be done. Someone would have to buy the theater for that to be possible. I love the images and the information. I would just love to photograph there. Simply breath taking. These are gorgeous! have you done any shots in the evening? 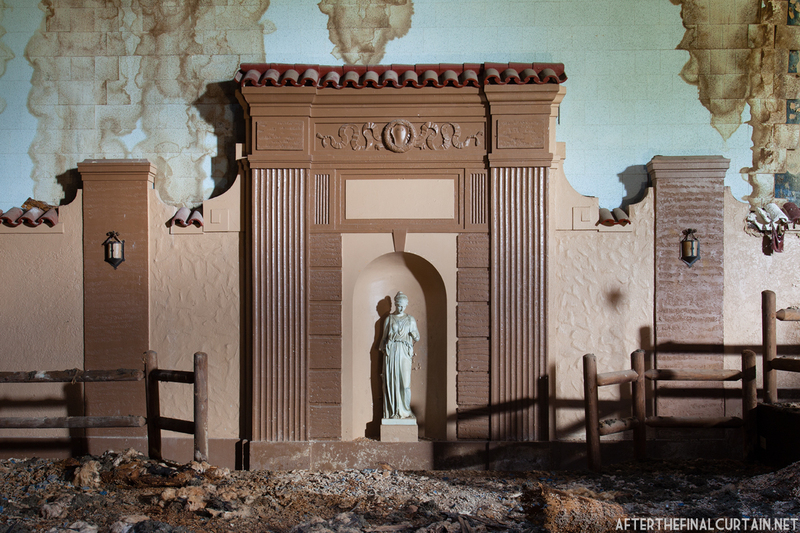 Beautiful photographs from a young ruin. Thanks. Unfortunately the “twin theatres” and later multi-plex theatres really did a number on these old beauties from the past. My early childhood memories are attending theatres like this in Houston and the surrounding areas – and it continued in other places where we lived. My first “real” job was working at a movie theatre – ours was much newer, but employees could go see movies for free at other theatres around town and there were several that dated back to the early part of the century. You always felt special in those places. This one particularly caught my attention as I moved to Marshall in early 2001 and every time I go by I wish that someone would save it. I had never seen the inside – kind of horrified by it now as the outside, though not great, certainly looks better than inside. There have been some nice restorations around Texas – there’s an old theatre in Conroe that actually shows movies. One in Waxahachie that was converted into a live music venue (then again, Waxahachie works hard to save their buildings and get them on the historic registers). As a long time resident near Marshall I watched quite a few movies in the Paramount back in the ’70s with my parents and siblings as well as the Esquire in Carthage(where I live). I love the old theaters! It was such a great experience to go and see a movie. Movie viewing today is like driving a new car. Technology is SO much better… but it’s SO much cooler to “experience” driving an old classic car. I remember attending many movies in this theatre as a child. Mr. Gelling was a dear man, and watched over the children. My parents had a men’s clothiers next door. 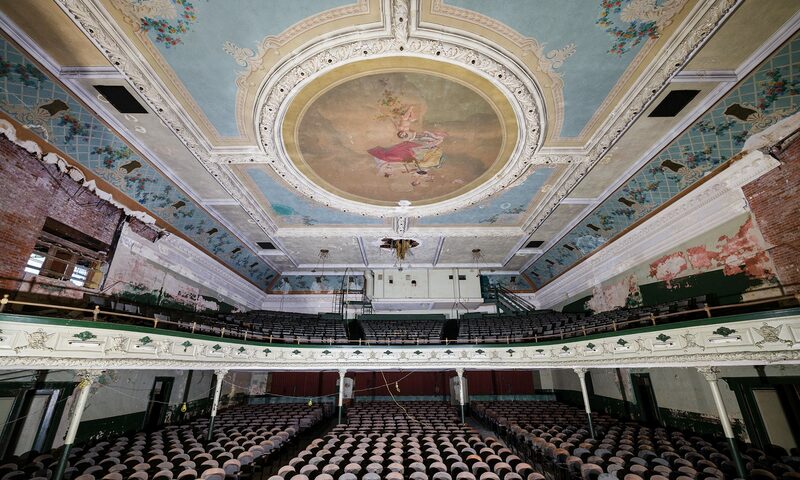 It is sad to see the shape it is in now.I hope someone is able to restore the theatre. With all the music venues in Marshall, this would be a wonderful theatre for live acts, and maybe an occasional movie. Thanks so much for the history and photos. This was the place that made me love storytelling on film. I’m not sure who Texas383 is, but I’ll bet we watched some movies with our families on the same nights here. The Esquire became a midnight movie hangout for me when I was older. Shreveport theaters were also wonderful places to grow up. I loved the Paramount and the “stars” that glowed in the ceiling. I fear that if Don Henley doesn’t save it, no one will. JP…. yes indeed… We did watch movies together with our families on the same night at the Paramount… Mike, Mavis, you, my mom and dad, brother Randy, sisters Pam and Carlos…….. GUESS WHO?!?!?! We may have even watched movies at the Esquire during you PJC days without knowing it. I still remember those “stars” in the ceiling! Not sure this forum is still active….. But the Paramount theatre in Marshall has been purchased. The new owner plans to make it a live music venue with plans to restore the marquee on the front. Glad to hear it! I’ll update the post.